In order to perform a Galaxy S5 screen replacement you will need to remove the entire front display assembly which includes the glass, touchscreen digitizer, and the AMOLED also known as an LCD. While LCD is not the correct term you will see it referred to as such in many situations. The repair is not particularly difficult but as always do not proceed unless you are confident that you can follow the instructions outlined on this page and in the following video. Replacement screens are compatible with any carrier and can be purchased through the links at the bottom of the page. 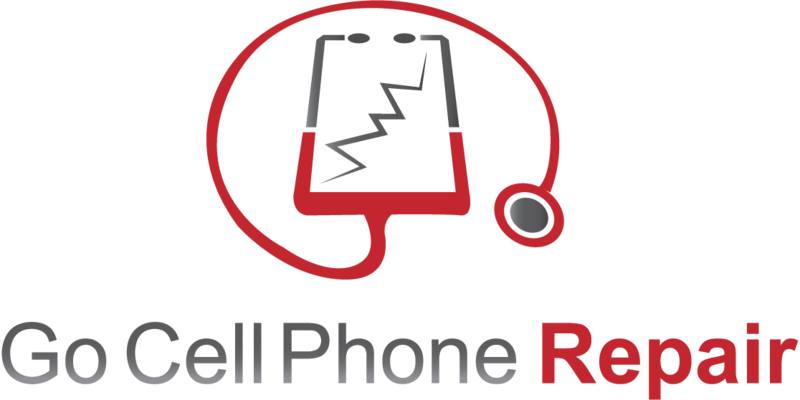 If you need tools be sure to visit our Cell phone repair tools page. You can order a replacement screen through the links below. They are available in black All S5 models are compatible with these screens. It is recommended that all of the screws from the rear housing be removed. The most important one is that which holds a small panel in place over the home button flex cable but. Once this screw has been removed you can disconnect the cable underneath. This flex cable runs through the mid-frame and will be damaged if you fail to unplug it and maneuver it through the phone when pulling the display off from the front. The Galaxy S5 is the first version that Samsung chose to design with this connector in such a seemingly unusual location. Once this flex cable has been unplugged you will want to heat the front of the device enough so that the adhesive becomes pliable. Since we are replacing the entire display in this situation it's not a big deal if it gets damaged in the process but we don't want any more glass fragments than necessary. It is also important that we do not damage the housing itself. Because of the water resistant design of the S5 you will notice that Samsung uses some fairly strong adhesive not only behind the display but also around the home button. Be careful when separating the button from the old lens or you might end up replacing that as well. It is very important that all of the old glass fragments are removed from the phone. Installing your new Galaxy S5 display on top of any solid debris such as a rogue shard of glass or plastic can easily cause the AMOLED to become damaged during installation. It is also a good idea to plug in the new display and make sure that it works properly before allowing it to stick inside of the housing. Any damage that is caused by improper installation will void the manufacturers warranty and trying to remove the new screen after it has been adhered to the frame can easily cause physical damage which of course will not be the fault of whoever you bought the part from. If you have any questions about replacing your Galaxy S5 repair please post them below. Will the white screen work with the Verizon s5? And is the quality/performance the same as the original screen? Thanks. Yes. The S5 screens are cross compatible between carriers unlike other phones such as the LG G3. They are only made by Samsung so the AMOLED and digitizer are OEM parts typically fitted with a new outer glass. I need my sim card reader repaired on my galaxy s4 how much would that be? The Sprint S5 is a G900P. I’m trying to repair a couple of Verizon S5’s. Are the Charger Dock Charging Flex Port interchangeable between the Sprint Galaxy S5 and Verizon Galaxy S5? How about the Back Rear Housing Middle Bezel Frame? To the best of my knowledge all S5 charge ports are carrier specific so I don’t think that Sprint and Verizon are interchangeable. The frame is listed as compatible with i9600 G900F G900H G900M G9001 G9008V G900A G900T G900V G900R4 G900P. So if you have any of the above both the mid frame and screen should be the same. Hi, i’m taking on the challenge to replace my s5 lcd digitizer but i have a problem, im unsecure with the ESD precautions on this type of replacement. Where do i connect my ESD wristband if im in an apartment? Also Can I use a glass table fr the procedure? Do I even need a wristband for this type of replacement? It is best to connect an ESD wristband to something grounded. I’m not sure what the best option would be in an apartment but something like bare metal on a computer tower works well. Just keep it plugged into the wall but shut the power supply off. Unless you have static electricity issues in your environment the chances of damaging your phone are very small. Just touching a grounded surface periodically is usually sufficient to prevent static build up. Assuming that your screen is already broken it shoulod work but will take longer to achieve a high enough temperature. The adhesive is very strong. Be careful with the home and back buttons because if you tear them you’ll have to replace the entire charging port.